Startseite » Thorium – Nuclear power without risk? Thorium – Nuclear power without risk? The Thorium Energy World Conference 29-31 October 2018, Brussels, Royal Belgian Institute of Natural Sciences wants to make the world happy with new nuclear reactors. But: Thorium reactors can on the one hand generate electricity and yet they are as dangerous as the Hiroshima bomb. We are clearly opposed to this and do not want that further new nuclear reactor systems will be developed in the EU! In the film „The far side of Nuclear“ announced in the program of the Thorium Conference 2018 in Brussels is the English version of the German public television and on arte several times shown film „Thorium – nuclear power without risk“. The film discusses, according to its own statement, „why nuclear power from thorium in 1945 was a technological stillbirth and why it was suddenly but the fuel of the future“. Only the risks of this technology are not mentioned in the film, even though the German title promises this. This highly controversial, partisan advertising film was made on behalf of the NDR with the support of arte 2016. Research and development on Molten salt reactors (MSR) are subject of the international Thorium Energy Conference. They are among the reactors of the coming 4th generation and are operated with molten thorium salts (around 700°C). energy use for emerging and developing countries with the help of this technology. 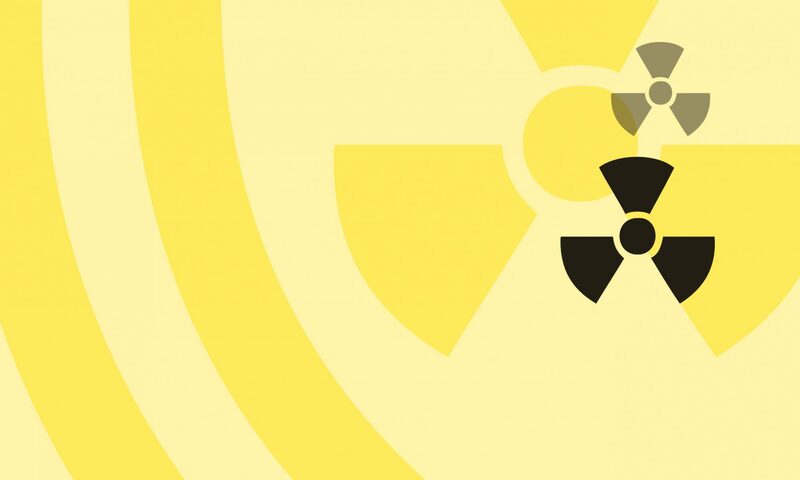 However, many small systems increase the risk that radioactive material comes into the wrong hands. Consider the risk of an accident if thousands of mini reactors, with a running time of 3 to 5 years, are transported over roads and rivers, have to be disposed of worldwide by the manufacturer and replaced. The EU Commission also wants to promote the construction of further nuclear reactors. By 2030 at the latest, an SMR in Europe should be in use. environmental damage and endanger the health of workers. The nuclear plants will not work profitably and rather have an adverse impact on climate protection as they displace renewable energy! this was expressed by former French Minister of the Environment Nicolas Hulot on his departure. In addition, a nuclear-trained workforce is needed for the operation and the construction of military reactors, which is to deliver the civil sector at low cost. research facility MYRRHA in Mol, Belgium. MYRRHA is also used to develop materials and fuels for thorium reactors. problem does not exist. „This clearly defines the tasks of the“ coal commission „. „The policy of the Federal Government serves the creation of full employment and equivalent living conditions throughout Germany,“ reads the first sentence of the document, in which the Commission, which Germany should point the way out of coal-fired power, defined their tasks. There is no word about climate protection.